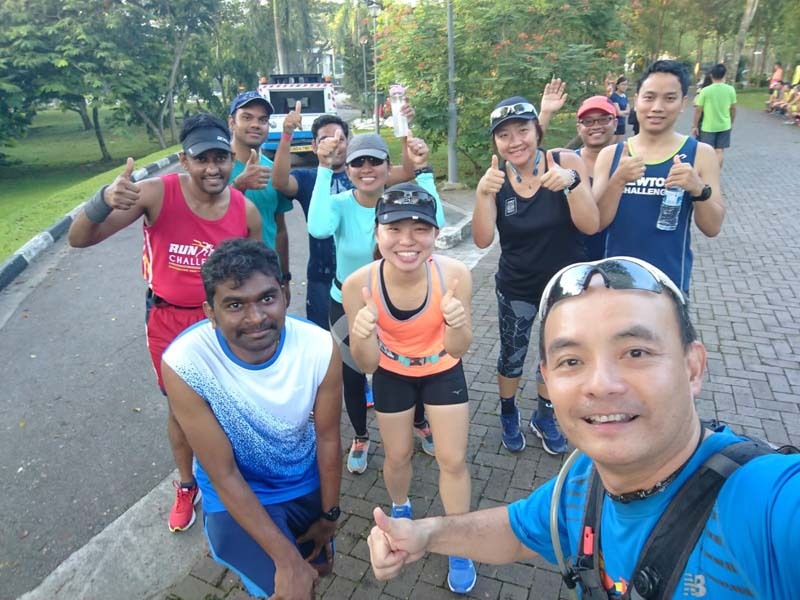 In week 2 of Operation Sunbird 2018, Team FatBird‘s 12-week marathon training program for Standard Chartered Singapore Marathon (SCSM), The Sunbirds were given a hilly trails long run workout at the Reservoir trails at MacRitchie and Peirce. With a number of races occurring this weekend, the number of trainees were visibly less. 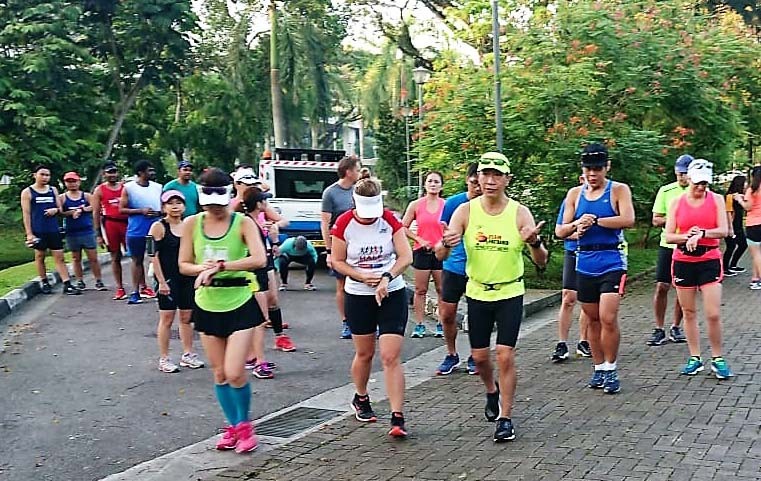 However, the great weather did not disappoint those who showed up looking for a new challenge in their quest for better training for good marathon timings. 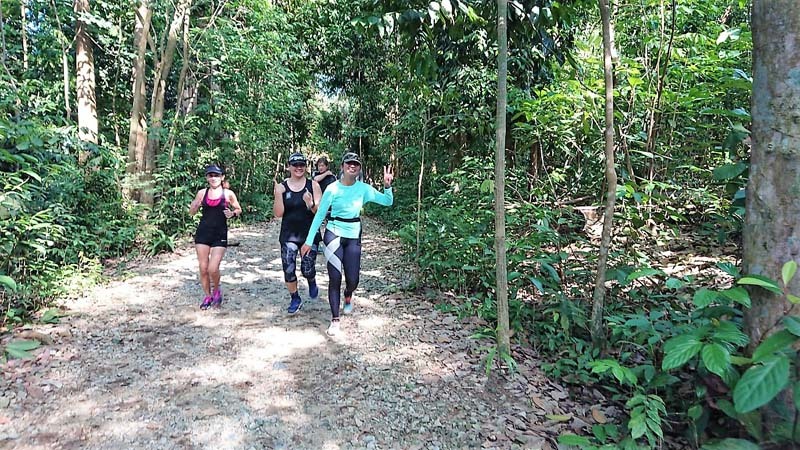 The training objective for the morning was for the trainees to build on their aerobic base and leg strength through the challenging terrain of hilly trails in the 13km and 22km routes. The targets were for HM trainees to run 80-100min and FM Sunbirds to run 120-150min, all at BaseBuild Pace and within FlightZONES 2-2.5. Guided by our experienced FatBird trainers, the respective groups of Sunbirds 1-4 (according to their current fitness levels and marathon foundation) did an excellent job of completing the challenging workout through the trails and hilly slopes to meet their training objectives better than expected. Training concluded before 10am with a training debrief and sharing of tips on post-training recovery and replenishment for good adaptation of training to take place. Sunbirds were also guided on the merits of myofascial massage (with foam rollers & trigger balls) to release kinks and tightness from marathon training workouts. With the trainees doing their assigned weekday training tasks diligently, it was evident in today’s training many of them have made good improvement to their running foundation in just one week – a real confidence booster for trainees and trainers alike. After our training, we received good news of many of our Sunbird/FatBird trainees and trainers scoring PBs and podium at Straits Times Run and Songkla Marathon (Thailand). Congratulations to all of them. All Sunbirds now look forward to Week #3 where we will be going on to hills training at the western hills slopes of Mt. Faber training grounds. 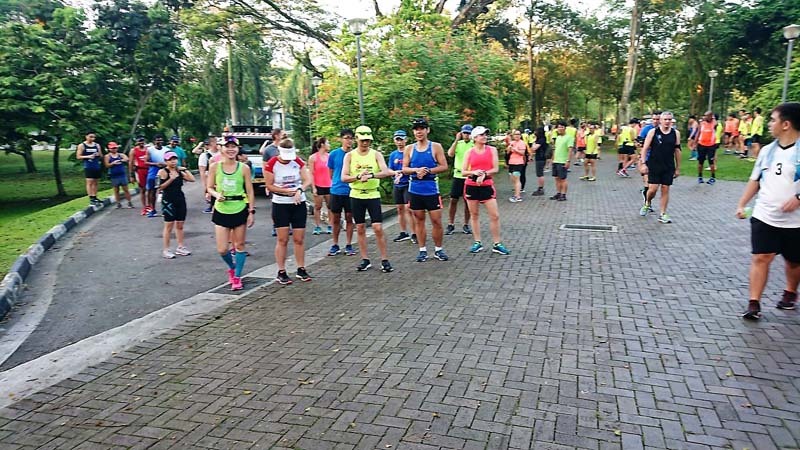 We look forward to see those Sunbirds who have missed the first 2 weeks of training, as well as welcome more runners to join us for our tried and tested marathon training program. The Sunbirds Conquered The Hilly Trails With Flying Colours! 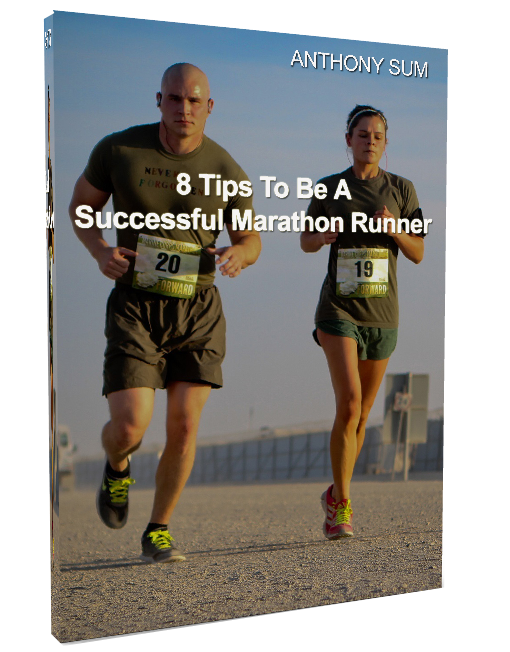 Are you looking for a proven results-oriented marathon training program to help you achieve your desired performance targets at your upcoming Key Marathon Race? 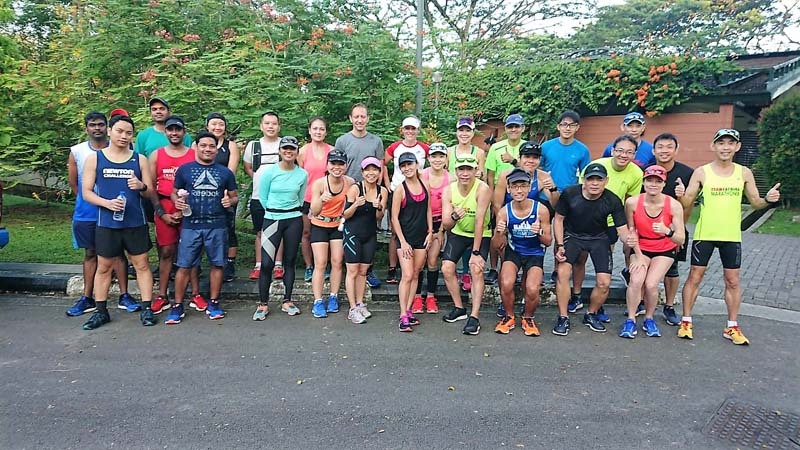 Team FatBird is happy to launch Operation Sunbird – our tried and tested 12-week FlightZONES structured training program to support your marathon training preparations for the Standard Chartered Singapore Marathon (SCSM) 2018 and other year end international marathons (Chicago, New York, Berlin, Seoul, ChunCheon, OSAKA). 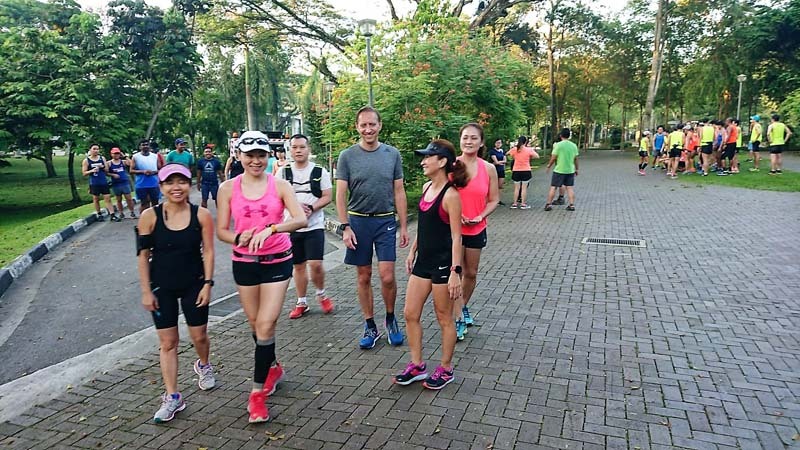 Team FatBird also has a Corporate Run & Marathon Training Program to prepare employees of companies and institutions for the Standard Chartered Marathon Singapore (SCMS). Write to info@teamfatbird.com OR Check Out Program Details Here! Sign Up For Ops Sunbird 2018!